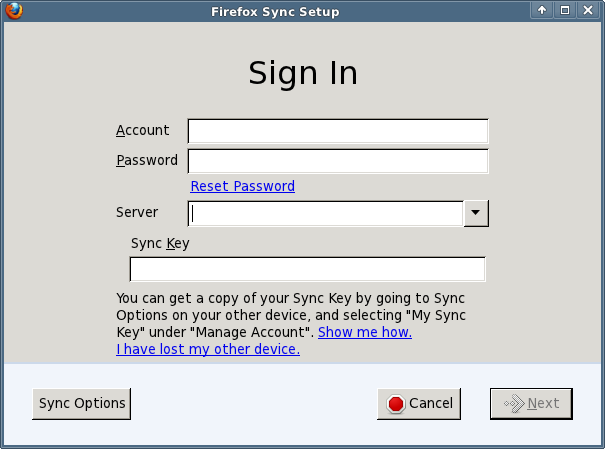 Mozilla Sync is a feature which is supported in Firefox since version 4. It allows you to store your bookmarks, browsing history, browser preferences, and saved passwords on a remote server. It even allows you to work on multiple computers and have the same Firefox configuration on all these computers. That’s a pretty cool feature. 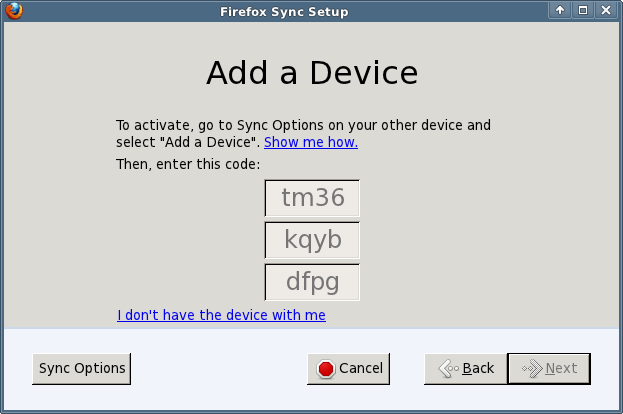 You can for instance setup sync on your Android phone’s Firefox browser and quickly configure it by entering your account-specific sync key. Moments later you will have your synced desktop browser configuration on your phone. 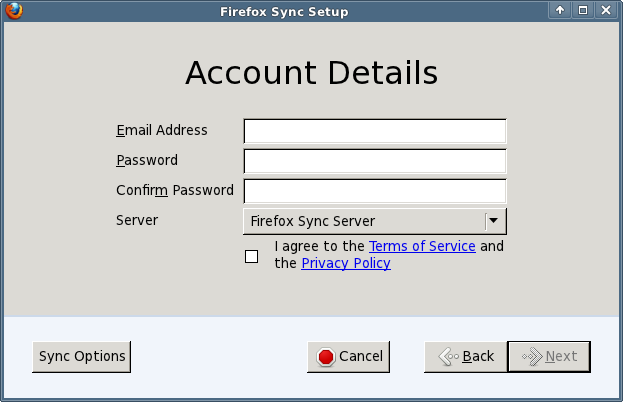 Mozilla offers public sync servers. If you don't trust your passwords and browsing history in the hands of Mozilla (though your data is supposedly being encrypted with your unique sync key before it gets uploaded to Mozilla), then you can use this HOWTO for setting up your own Sync Server at home (or at work). Luckily, Mozilla is open as always and makes the Open Source Sync Server code available to everyone who wants to play with it. And setting it up is not difficult at all. 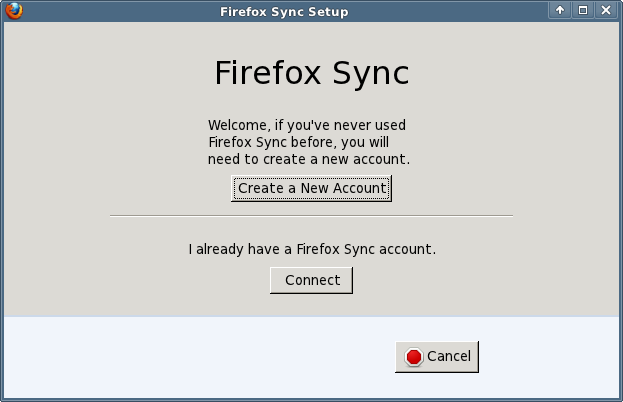 Note: Mozilla have re-designed and re-written the original Sync Server (it was called “Mozilla Weave Server” at the time, and was almost impossible to setup). It is now written in Python, and the steps to create your own Sync Server are described on this page. That page is what you should follow. The rest of this HOWTO tries to bring more detail to the process of configuring your Slackware box to become a real Sync Server. Of course you want to install this on a Slackware server! virtualenv. Slackware packages can be downloaded here: http://slackware.com/~alien/slackbuilds/virtualenv/ or built using the SlackBuilds.org script . By default, the server stores your sync data in a sqlite database (you can use a real MySQL server database if you want), but it will create the sqlite database in /tmp which is entirely inappropriate. Further down you will find what you have to modify so that your clients’ sync data go somewhere less “volatile”. The python-based Sync Server can run all by itself on a configurable port number (5000 by default) which is just fine if you are its only user in your little LAN. But even Mozilla advises to put a real webserver between you and the Sync Server. In Slackware you can use the apache webserver for this. You must install an additional apache module for this to work: mod_wsgi. Slackware packages plus SlackBuild script can be downloaded here: http://slackware.com/~alien/slackbuilds/mod_wsgi/ or get a alternative SlackBuild script from slackbuilds.org. This tells apache that a script called “sync.wsgi” is going to be spawned as user “weave:sync” whenever a client connects to http://sync.myserver.net/ . Configure the Sync Server configuration files. You can play with other options in this file to see what they can offer. For instance, you can disable “captcha” and not enable SSL, but you may decide that this is important to your setup. In case this is the first time you talk to your Sync Server, you need to setup an account, so click the button “Create a New Account“. This opens a new dialog box where you can type your email address (this will become your account name), an associated password and then in the dropdown menu, do not select “Firefox Sync Server”. Instead, you choose “Use a custom server”. This allows you to enter the URL for your brand-new private Sync Server. Once the account has been created, Firefox will show you the sync key it will be using to encrypt your data. That key is important, you will need it if you want to add more computers to your sync account. The sync key which is associated with your sync account can be retrieved at any moment should you have forgotten to write it down. Just go to a computer which has been setup for Sync, and open your Firefox browser’s Preferences at the “Sync” tab. Under “Manage your account” you will find a menu item to display your key (as well as a way to change your account’s password). More help can be found at http://support.mozilla.com/kb/what-firefox-sync . - This section is coming soon! You really want your Sync server to be accessible over https:// if you sync over the Internet.